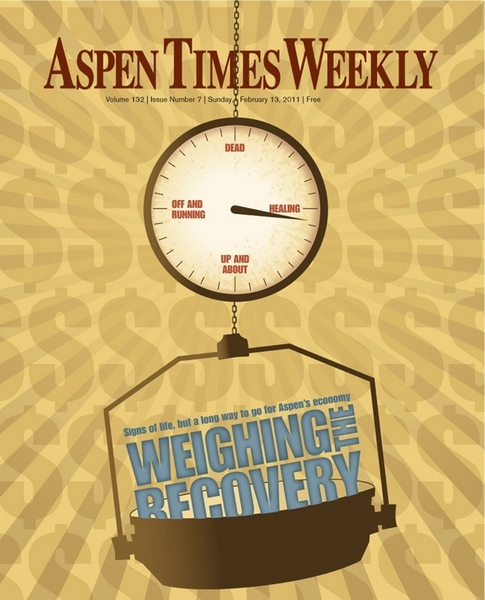 ASPEN – Aspen’s economy is negotiating more bumps than an intermediate skier who accidentally ends up on Bell Mountain. More than two years after the Great Recession struck, local lodges and hotels must lower rates or sweeten deals to get bargain-conscious travelers to pull the trigger on reservations. Retail shops must slash their profit margins to complete a sale. Construction companies must cast rock-bottom bids to land a job. 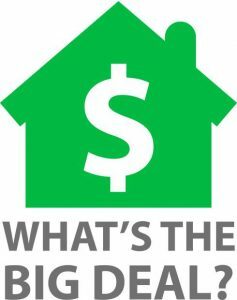 Real estate agents must show a ton of properties to prospective buyers and repeatedly explain why the time is right to buy. Even the Aspen Skiing Co. isn’t immune to the caution of customers. Many skiers and riders demand added value before they will plunk down up to $99 for a single day lift ticket. They want an extra lift ticket in return for a multi-day purchase or a package that bundles hotel rooms and lift tickets. Most signs show that Aspen’s economy is slowly rebounding from the dark days of 2009 and the lackluster performance of 2010. But recovery requires patience. “I’d characterize the winter as a slow improvement over what we’ve seen,” said Chuck Frias, co-owner of Frias Properties, a real estate sales and luxury condominium rental business in Aspen. His firm rents more than 200 condos in and around Aspen’s core and manages another 200-plus fractional units. Occupancy so far this winter is up by double digits over the 2009-10 winter, but at a price. The average daily rate is down. Travelers are more savvy than ever. They hold out for good deals. “They know, like we do, there’s room at the inn,” Frias said. There is a tale of two economies in the upper Roaring Fork Valley. The tourism sector didn’t fall as hard as others, and it started rebuilding a bit earlier. Construction as well as real estate sales and development fell hard and are taking longer to get back up. Real estate sales picked up in Pitkin County in 2010 after the market collapsed in 2009. A vast inventory combined with prices that are 30 to 50 percent off their high marks are fueling increased activity. Construction slowed to a crawl in 2009 and 2010, but is showing some signs of life. John Cottle, a partner in Cottle Carr Yaw Architects (CCY), a firm with roots that go back 40 years, said he won’t string together the words “cautiously” and “optimistic” just yet. That said, the calls from potential clients looking into residential and commercial projects both in the valley, in other parts of the country and even abroad is up in recent months, Cottle said. “The world is feeling a little bit better about things,” he said. Tourism-related statistics in Aspen were on the mend in late 2010 and that carried into the ski season. The Aspen Skiing Co. reported its skier visits were up 4 percent as of Dec. 31. The Winter X Games pulled in a record crowd during what was once a mellow period in January, and the success of the event spills onto the slopes. The Skico logged 1,338,210 skier visits at its four ski areas in 2009-10. That was an increase of 4.3 percent over the prior winter. However, business was down about 13 percent in 2008-09 compared to 2007-08. Therefore, the Skico has a ways to go to return to pre-recession levels. In a broader measure of the tourist economy, retail sales in Aspen climbed 4 percent in 2010 to $466.19 million, according to the city government finance office. Restaurants and bars saw sales climb 3 percent. Sales by tourist accommodations climbed 7 percent last year over 2009. Ed Towfighnia, general manager of the Hotel Jerome, said this ski season has the potential to outperform 2008-09 and 2009-10. “We see a pretty good uptick in business,” he said. However, the jury is still out on the season because of uncertainty about March, Towfighnia said. Travelers are waiting longer than ever to book a vacation – gauging snow conditions and shopping for deals. The shortened booking window makes it difficult to assess at the moment whether March will fly or flop. Right now, reservations on the books for March are ahead of last year’s pace, Towfighnia said, and that makes him “cautiously optimistic” that overall winter numbers will be up. Frias said rental activity in the high-end condo market fell as much as 30 percent from boom to bust over the last couple of winters. Lots of property owners didn’t come to Aspen as often and the market for rentals was thinner, he suspects, because of work demands. Frias believes winter occupancy at his firm’s properties has the potential to climb in the double digits over last year, assuming a decent showing in February and March. January proved strong. While sales tax revenues and skier visits provide reasons for optimism, other indicators suggest employers in the Roaring Fork Valley remain uncertain about the economy. Pitkin County’s unemployment rate was higher in December 2010 than it was for the same month in 2009, according to the Colorado Department of Labor and Employment. The unemployment rate was 6.8 percent in December, with 762 people out of work in a workforce of 11,226. In December 2009, the unemployment rate was 5.5 percent. To put those numbers in perspective, during the boom year of 2005, Pitkin County had a work force of 12,380 and only 2.9 percent, or 357 people, unemployed. That was during the period when employers were forced to accept virtually any applicant who walked in the door. Unemployment was also higher in December 2010 than December 2009 in nearby Garfield and Eagle counties. A study released in January by the Economic Council of Eagle County showed that the county lost 6,000 jobs between the third quarter of 2008 and the third quarter of 2010. Many of the lost jobs were in construction. Dan Blankenship, CEO of the Roaring Fork Transportation Authority, believes fewer jobs played a major role in bus ridership plunging 8.4 percent during 2010. RFTA hauled 3.92 million riders last year on all routes. That was down from 4.28 million the prior year, and it was the first time since 2005 that ridership didn’t exceed 4 million. The trend might be turning. RFTA’s total ridership was up 6.2 percent for December 2010 compared to December 2009. “We appear to have reached the bottom and we’ve started to come back up,” Blankenship said. The real estate market in the upper Roaring Fork Valley showed some signs of recovery in 2010, but a lack of improvement over 2009 would have been a disaster since 2009 was so bad. The dollar volume of all sales in Pitkin County increased 17.75 percent in 2010 to $1.26 billion, up from $1.07 billion in the prior year, according to research by Land Title Guarantee Co. But the number of transactions countywide fell almost 2 percent in 2010 from 2009. It was the fourth straight year of fewer sales. High-end buyers are driving the improvement in the Aspen market, Frias said. Sales of condominiums and single family homes in Aspen through the Multiple Listing Service used by real estate agents was up 15 percent in 2010 over 2009, he said. However, the sale price per square foot continued to decline, according to Frias, while the average number of days on market continued to increase. 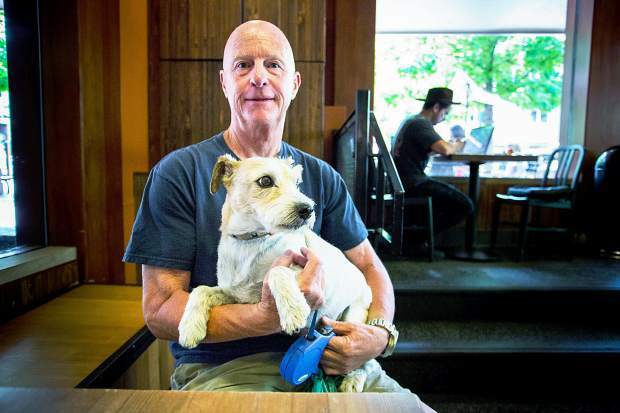 Tim Estin, a broker associate for Mason Morse Real Estate, believes the Aspen-Snowmass Village real estate market bottomed out in 2009. Recovery is coming slower to the midvalley real estate market, according to multiple real estate agents. A flood of inventory and low prices have started to spur buyers’ interest, according to Greg Hunter of Morris and Fyrwald. He expects activity to increase in 2011, particularly on properties priced below $500,000. Foreclosures and bank-owned sales continue to influence the midvalley market. There have been about 110 foreclosures initiated in the Basalt zip code since the effects of the recession were felt in early 2009, according to the Eagle County Public Trustee’s web site. Roughly one-third of those foreclosures were withdrawn, indicating the lender and borrower worked out a solution. Roughly another third were resolved by foreclosure sale or were deeded to the lender. The remaining third are pending or are held up by bankruptcy of the borrowers. The foreclosure sales are one factor that make it hard to determine whether midvalley prices have bottomed out. “I think it’s getting closer. I’m not totally convinced it’s bottomed yet,” Hunter said. The flood of homes on the market in recent years has slowed the construction of new homes to a trickle. Some local contractors have disappeared; others have expanded their services to survive. David Brown, owner of High Con Inc., a 24-year-old firm that pours concrete foundations, sidewalks and driveways, said 2007 was one of his busiest years ever. He specializes in custom homes and also does commercial buildings. Work fell off drastically for the next three years, 2008-10, but he was positioned to weather the recession, in large part because he paid off debt and replaced equipment when times were good. 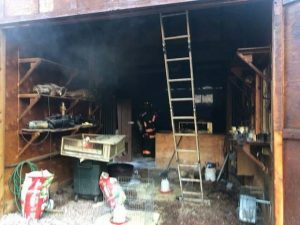 “If something like this would have hit me in my first 10 years, I probably wouldn’t have survived it,” Brown said. The recession forced him to lay off about 20 percent of his crew and cut pay 5 percent across the board. The belt-tightening paid off. Activity has picked up in 2011 and High Con is now working two big jobs on large custom homes and two smaller jobs. Brown said he is confident he will have plenty of work into the summer and, signs indicate, beyond. “This year’s looking better,” he said. He has hired five workers in the last 30 days and is up to a crew of 27 compared to 18 one year ago. He is accustomed to earning jobs through strong relationships with contractors and his firm’s reputation for high-quality work. Now, bottom-dollar bids are required because so many companies are competing for so few jobs. Briston Peterson, a principal in Brikor Associates, said his firm is one of the fortunate contractors that stayed busy despite the recession and slow recovery. Brikor had some large projects underway prior to 2010, when new activity slowed. Peterson characterized Brikor as a medium-sized company that specializes in custom home construction. It has branched into major remodels out of necessity. There aren’t a lot of big, new projects moving through the approval process yet, but there are a lot of “facelift projects” on Aspen luxury homes, he said. Statistics from the city of Aspen building department confirm that point. There were roughly the same number of city-issued building permits in 2009 and 2010, but the median and average value of projects was drastically lower last year. The total estimated value of the permitted work in 2009 was $101.31 million, compared to $96.23 million last year, according to the building department. The average value per permit was $113,743 in 2010. 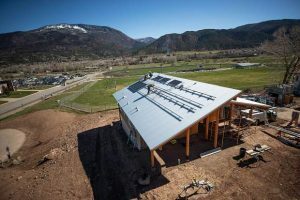 “This is the lowest average permit value that we’ve been able to quantify since 2003,” said Stephen Kanipe, chief building official for the city of Aspen. In 2007, during the boom years, the average permit value was nearly $800,000. In 2009, the average permit had a value of $375,223. The median value of permitted work was $9,000 last year compared to $35,155 in 2009, the city’s data shows. Peterson said the bulk of real estate shoppers are being enticed to buy existing homes because of the high inventory and reduced prices. Buyers are remodeling or adding to their new homes rather than buying land and then building. Speculative home-building is virtually non-existent, he said. Like Brown, Peterson senses the construction outlook brightening a bit in 2011. The larger firms are starting to hire workers, he said, and architects he’s spoken with are seeing a bit more activity. CCY’s Cottle said his firm is getting “calls of interest” for a broader spectrum of projects throughout a wider geographic area than it did in 2009 and part of 2010. “For us, 2009 was really a challenging year,” he said. The company is designing homes in Aspen, Vail and Crested Butte, as well as hotels in California and a resort residential project in China. They have worked outside the valley for 20-some years and from that experience, learned that Aspen “weathered the storm” of the recession better than many other parts of the country, Cottle said. While business is picking up for architects, it will take a while to benefit contractors because of the lag between the time projects get designed and plans get turned over for construction. “I think they are six to eight months behind us,” Cottle said. So contractors and sub-contractors stayed busy after the recession started, working on plans architects produced in 2007 and 2008. The slump hit architects particularly hard in 2009 and spilled into 2010. Contractors are feeling that slowdown now. But now that design work has picked up, the construction industry should experience some relief in the near future. “This summer, I think it’s going to pick up,” Cottle said. Kanipe said the buzz he hears from many business people, not only in construction but in tourism-related businesses, is that the economy may be “reset” to 2004. In other words, spending has settled in to the level where it was before the boom of 2005-07. A contraction at some level might be inevitable for the construction industry, said Glen Jammaron, president and vice chairman of Alpine Bank. Construction work used to be seasonal. A lot of guys drove nails during summers and worked at the ski areas during winters, said Jammaron, a Glenwood Springs native. It evolved into year-round work during the boom in the 1990s. Even if activity picks up, it won’t match the activity of the mid-2000s for a while.